BlingCrete™ receives Design Plus award | BlingCrete . 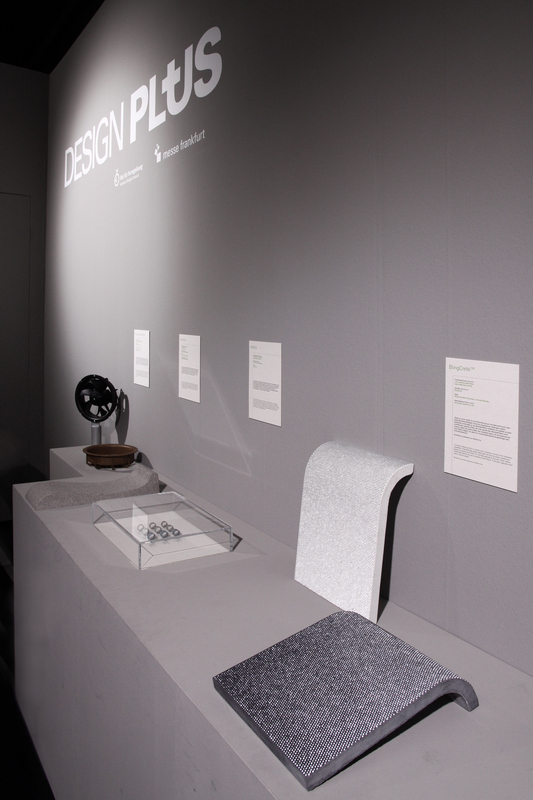 BlingCrete™ is a winner of this year´s Design Plus award. The Design Plus award honours excellent and especially innovative design. Biennial during the Material Vision fair the Design Plus designation is given to products developed and manufactured by involving innovative materials or processing techniques. At the Material Vision competition manufacturers of different branches, designers and architects present themselves to the jury of experts with pioneering materials and products. Design Plus Material Vision is the most important award in the realm of material innovation with the highest number of competition entries. The Design Plus Material Vision competition is organized by the German Design Council in cooperation with Messe Frankfurt and was launched in 2005. Design Plus is one of the leading design competitions in Germany.